In a nod to Christmas nostalgia, Melbourne creative agency Yoke has reinvented the much loved advent calendar in a new digital format with its own industry spin. Each day in December, up until the big day itself, you will be able to visit the Yoke Ad-vent calendar and open a new door. 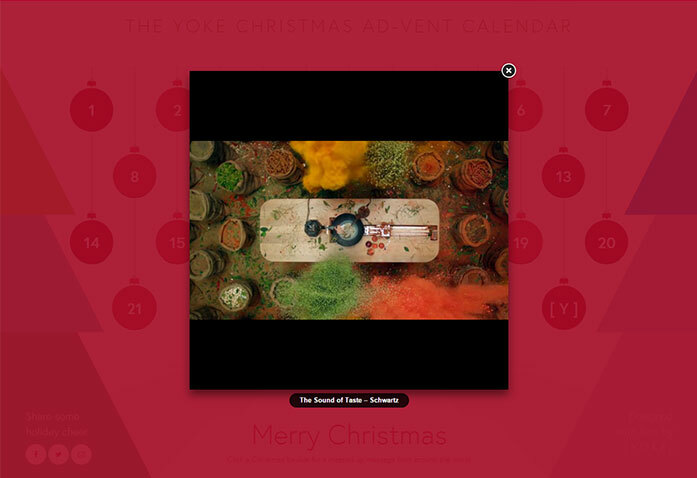 The calendar was built to showcase the 25 best ads ever seen on TV and online, handpicked by the Yoke team. The team went through a long elimination process, only including those that were truly extraordinary. The final 25 ads were a mixed bunch – some of them sad, some arty and some funny, but they all managed to move the team in some way.